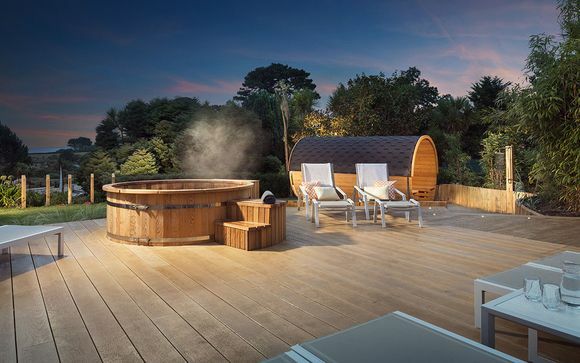 Last minute deals to Cornwall up to -70% off To take advantage of these offers, join now for free! 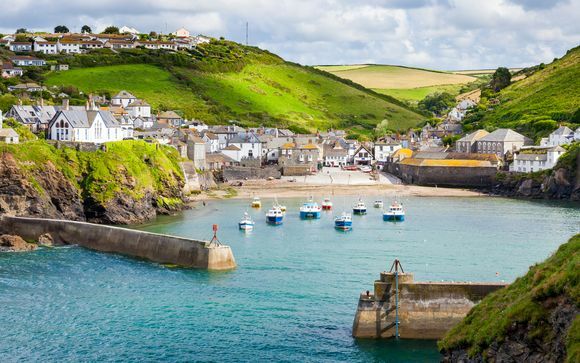 Book last minute deals to Cornwall with Voyage Prive and discover more about the UK's southernmost tip, host to the nation's best weather and renowned for its beaches, surfing, and beautiful coastline. 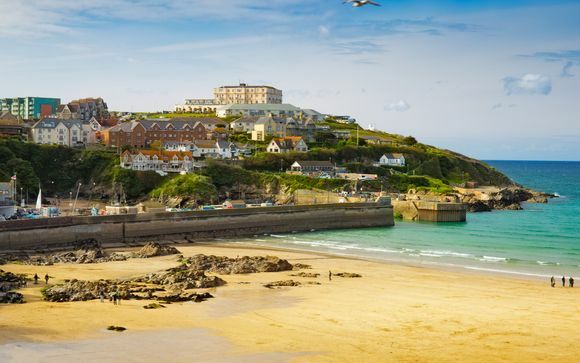 Cornwall's southwestern location means summer temperatures often hit highs in the early thirties, and its infamous beaches attract people from the world over. 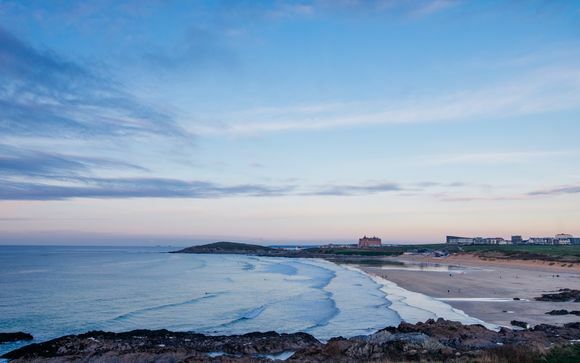 Some of the beautiful beaches also play host to surfers from across the world, and Newquay often hosts surfing championships. Its rugged coastline features coves and tiny hidden beaches which are great for exploring, and there are also a lot of activities you can do around the coast. Whether that's trying your hand at surfing, or kayaking along the coastline, activities are plenty if you're looking for more than just a beach holiday. But if a relaxing beach holiday is what you're after, then you won't be disappointed. 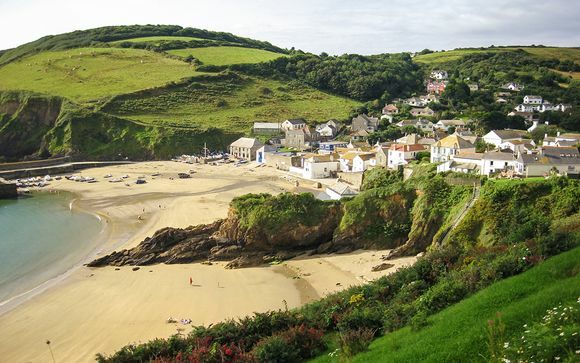 Incredible sandy beaches include Perranporth, Porthcurno, Crantock, and Porth. You'll notice these names have slightly odd names, which comes from Cornwall's Celtic history - the county has its own language and some locals even strive for independence from the UK! In terms of tourist attractions, if you would like to explore more than just the beautiful beaches, there are an extensive range of attractions. The most popular tourist destination in Cornwall, judging by numbers, is the incredible Eden Project near St. Austell. Inside enormous biome domes, you will find exotic plants and species from across the world. You can also visit amazing estates and gardens such as Lanhydrock House and the amazing Minack Theatre which overlooks the sea. Cornwall, due to its location on the coast, can also boast amazing seafood. Of course, you will find some of the freshest fish and chips you'll ever taste, but Cornwall also plays host to some amazingly luxurious restaurants, some of which hold a prestigious Michelin Star. 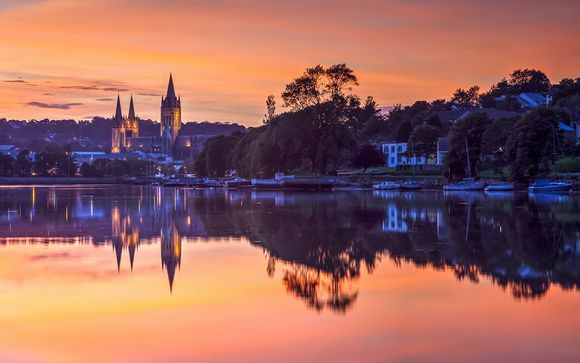 You will undoubtedly love visiting Cornwall, for its sunny climate, its amazing coastline, its wide range of activities, its food and, of course, its wonderful beaches. 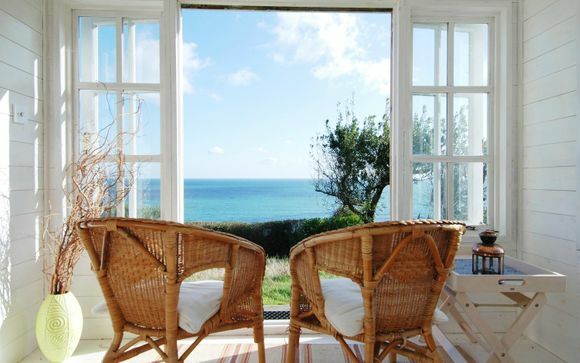 However long you have, Cornwall has something to offer for any luxury holiday. So book a luxury holiday now, and enjoy this amazing British treasure before the secret gets out! Last minute deals to the beautiful Balearic Islands.